Batman Went Ballistic -- Over Cash? Just days after being arrested on assault charges involving his mother and sister, Christian Bale hit the rojo carpet in Barcelona for the premiere of "The Dark Knight" -- and he looked anything but fazed. According to AP, Bale looked relaxed and spent a half hour signing autographs for fans before heading into the theatre -- taking time to ask each signature seeker their name. Since being questioned by police regarding the alleged assault, Bale released a statement denying all claims made against him. He told reporters at a press conference, "It's a deeply personal matter. I would ask you to respect my privacy in the matter." The caped crusader must fly back to London in September to address the matter. 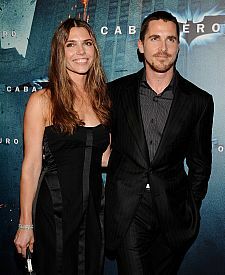 Click on an image to view the CHRISTIAN BALE photo gallery!